Know what you are being billed for. Many business owners complain about high utility bills and then simply pay them. This post is about understanding what you are being billed for and then how you can manage those charges. 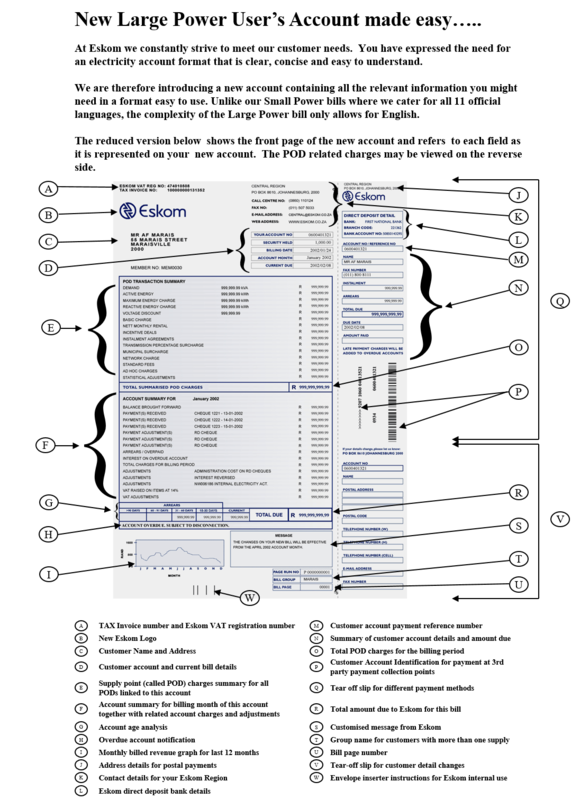 ESKOM has released a number of documents explaining the breakdown of tariffs and charges and , depending on which municipality you fall under, the layout may vary slightly . 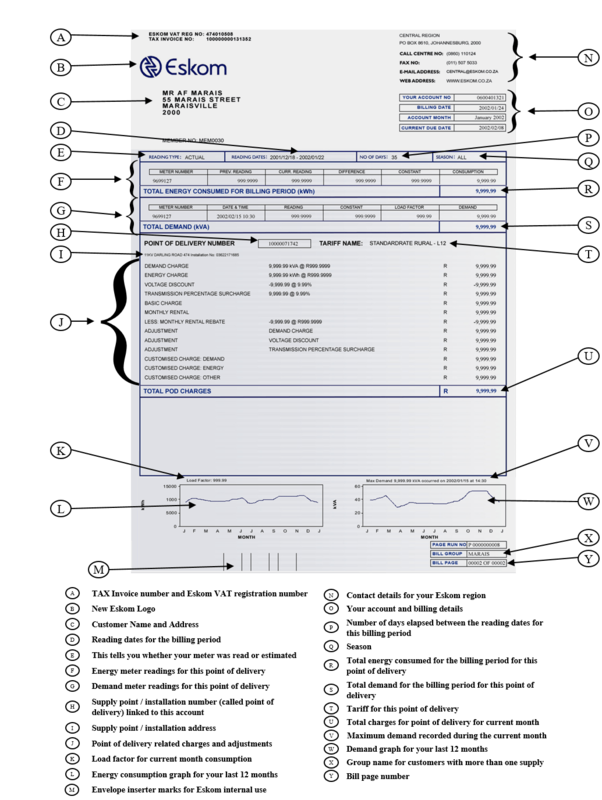 Below is the layout diagram for the utility bill for normal and small consumers and is fairly straightforward. The format for large power users is a little different and this is where business owners need to understand the various aspects of the tariffs. Below is the template for the utility bill and it clearly defines the various tariffs and charges. Pay PARTICULAR attention to the “reactive energy charge” tariff as this is where many business owners can reduce their electricity costs by around 20%. Take your latest bill and see whether there is a specific line for “reactive energy” or not.If not, look at the bottom of the bill for ‘other ‘ charges that have no specific label but are measured in kWh. ESKOM has also released a document detailing the breakdown of the tariffs and divisions on these bills and you can download it here. As a business owner, you need to know and understand the elements of your monthly costs so that you can take effective measures to manage and reduce these operational expenses. Alpha Power Solutions are offering you the chance to submit your latest utility bill and get some answers on what some of the charges are and more importantly how to reduce your energy usage , or make it more efficient. As specialists in Power Factor Correction solutions, they can assist you to reduce the ‘reactive energy’ costs by making your energy usage more efficient. Just complete the form below and upload your utility bill and they will contact you to discuss it. In this day and age, reducing energy usage for both sustainability for your business and impacting the national grid are becoming.